Cave Paintings, Ceramics & Sacrifice. Underwater archaeologist Helena Barba Meinecke recently announced the discovery of a “corridor” of caverns beneath Calakmul, containing evidence of ancient ritual use, including ceramics, cave paintings and human remains: “There are even places in the depths of these caverns where the Maya performed their sacred rituals and sacrifices.” Barba is head of the Subdirección de Arqueología Subacuática de la Península de Yucatán del Instituto Nacional de Antropología e Historia (INAH). The Circulo Espeleologico del Mayab has been exploring the caves for a year in secret. Official publication is due some time this year. 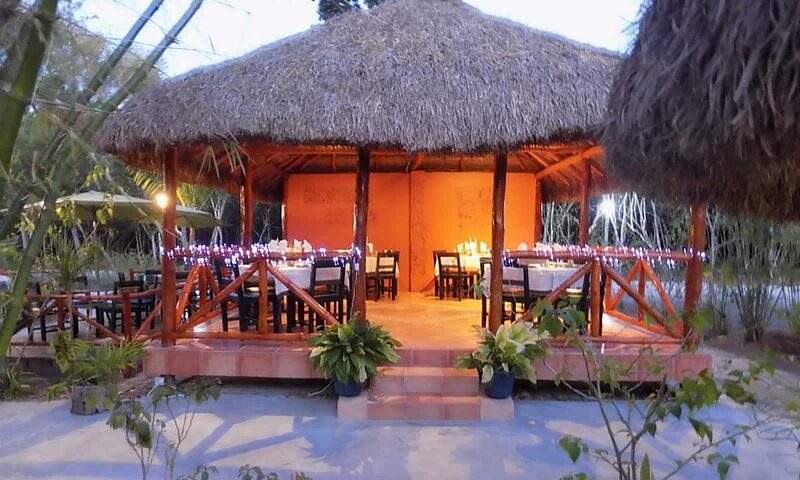 A few photos were released to the Jornada Maya in December. 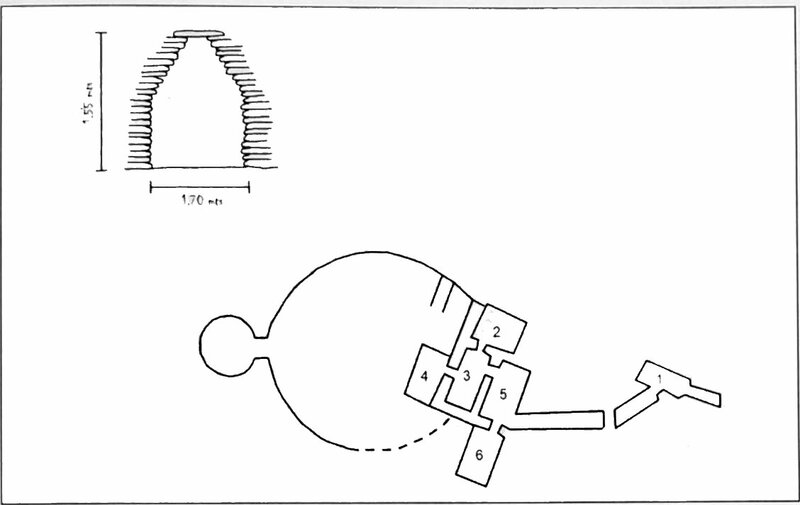 The caves are extensive and of a still unknown size. Their exact location is also a secret, to prevent looters from gaining access to what is still a new and largely undocumented discovery. These caves may never be open to the public but they will eventually become part of the bigger picture of the development of Calakmul. The discovery of caves in the Calakmul area isn’t new. There are a few famous cenotes in the Calakmul Biosphere Reserve, such as the “Bat Cenote” or “Bat Volcano” near Conhuas, as well as the “Dormitorio de los Monos” near km 38 of the entrance road, a cenote filled with tall trees used as shelter each night by both spider and howler monkeys. In 1985, Abel Morales Lopez of the Proyecto Calakmul performed an emergency survey of sites along the final path of the proposed entrance road. 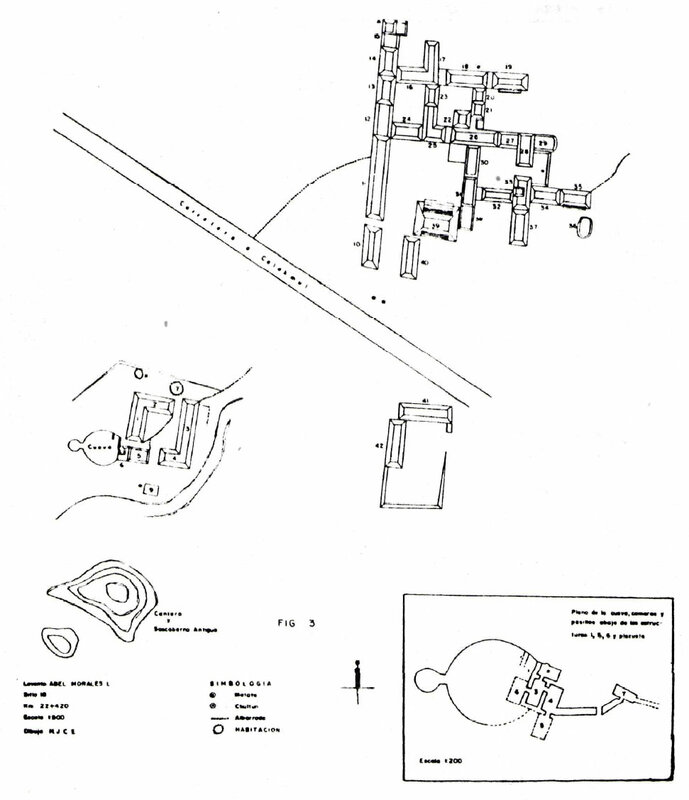 Within a hundred meters of the road and its parallel drainage, he discovered and mapped 23 sites with plaza groups, many vaulted buildings and even pyramids of up to 13 meters in height, emphasizing the famous density of occupation of the hundreds of square kilometers surrounding the center of Calakmul. The Maya actually built vaulted chambers within this cenote, which the archaeologist thinks may have been dedicated to funerary rites. The water table is much lower at the base of the Yucatan than it is within the more famous cenotes of the East Coast (Tulum, Tankah, etc.). As a result, there could hundreds of kilometers of interconnected dry caves criss-crossing the Biosphere. Water would have been the sacred element in these caves, its presence recalling the watery underworld and its gods. These caves may also have been visited in the dry season for basic drinking water. There has been little exploration of Calakmul’s outer “suburbs” since the initial survey of Folan’s Projecto Calakmul, but intensive excavation has begun at the larger “satellite” sites of Uxul and Oxpemul, with more to come. Barba Meinecke is also the director of the new underwater archaeology museum, featuring a sunken recreation of a Spanish shipwreck off Playa Bonita in Lerma, near Campeche City. 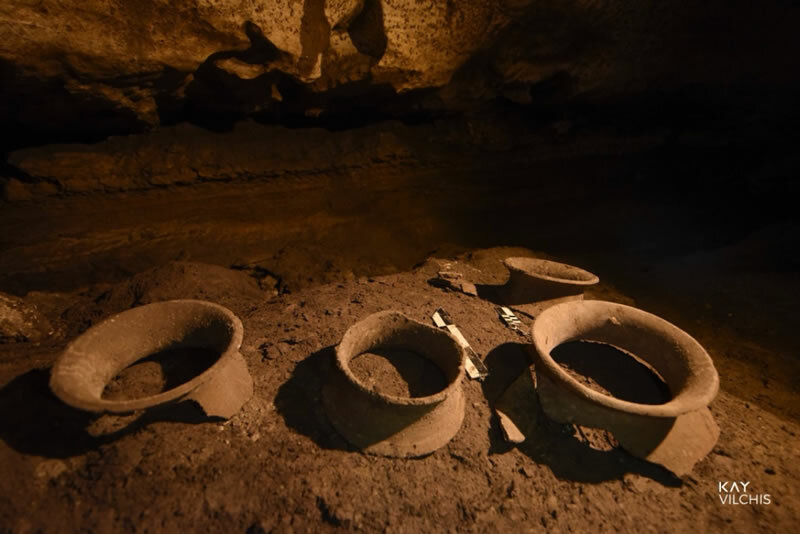 The fortress of San Jose el Alto will exhibit discoveries from cenotes, such as prehistoric mammal bones and Maya ceremonial ceramics, in addition to items recovered from shipwrecks of the Colonial and Industrial eras. The skeleton of “Naia”, the oldest woman of the Americas who was discovered in “The Pit” at Sistema Sac Actun in Tulum, will find her resting place here. The underwater shipwreck exhibit has already been installed and the main museum is expected to be open this year. Our phone (cell) can be unreliable in the jungle but here it is (just in case). You may review our Rates & Policies here.